A lot of you are most likely aware of the terms ‘digital immigrants’ and ‘digital natives.’ Although these stemmed from Marc Prensky’s research into the education sector in 2001, they’re still making their rounds 17 years later but with an increasing focus on digital marketing and strategy. Prensky researched the ever-changing digital arena and how this could impact the teaching principles within schools. It was in this paper that he popularised these well know labels for today’s society. This group adopted the digital culture later in life as they grew up in a time before the widespread use of technology that we see today. Mostly represented by Baby Boomers and Generation X. This group was raised in the digital culture as they have been exposed to technology from a young age and are seen to be ‘native speakers’ of the digital language. Mostly represented by Millennials and Generation Z. Why Focus on Your Demographic? When it comes to digital marketing planning, how your demographic interacts with technology will ultimately impact how they respond to your digital marketing efforts. Prensky’s study further suggests that digital natives and digital immigrants differ in how they want to receive information and how they even process that information. This is why it’s so important to define your audience and user personas when writing or re-writing your digital marketing strategy. You want to be able to connect with your customers in the right way on the right channel. For example, you wouldn’t want to advertise retirement villas on Snapchat. Luckily, companies have the benefit of having access to massive amounts of data through online tools like Google Analytics and Hotjar to help track user demographics and behaviour. This will help you define your target audience which helps you further refine your digital efforts. 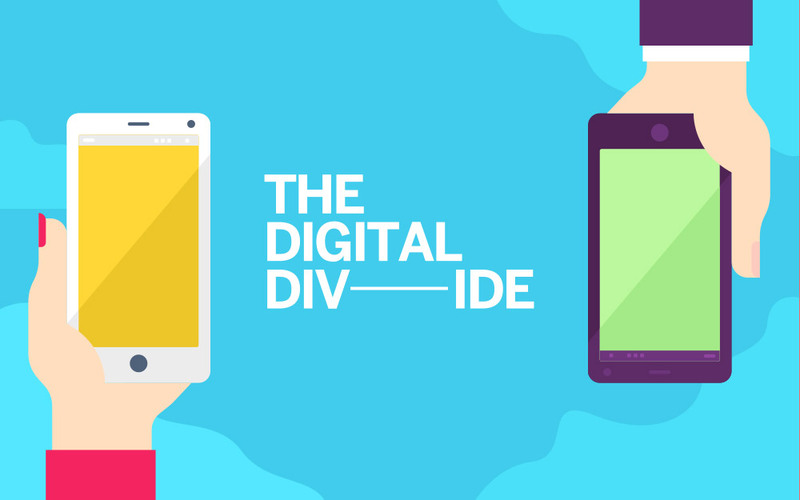 All these tools help you bridge the gap in the digital divide between your customers and your strategy. We know the rules for digital marketing can be overwhelming, so if you’re looking to start or improve your digital marketing strategy then get in touch to see how we can help!